We've more awesome and magical miniatures to bring you this month, not the least of which are the incredible savings you get with each and every new Battle Host, an army in a box complete with Quick Play Guide and order tokens set! 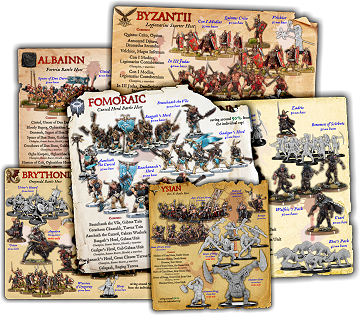 As far as individual miniatures go, there's the superb Ballista and crew for the Byzantii; the bloody brilliant Goraakk the Ripper in three flavours - plus Darkstone - for the Fomoraic; the very cool Garric for the Jutes, also in three flavours, with a Cavern Nihtbat; and the long-awaited Firekin, a unit of three fire-gobbing Szalamandra. Miniatures don't get much better! The awesome new Battle Hosts contain a good-sized host for Darklands, around 999 gold, for each kindred that has the miniatures available. They usually include a commander, a monstrous commander, a sorcerer, an infantry unit, a support unit, a monstrous infantry unit and a monster as well as the Quick Play Guide and a set of order tokens. They're a great way to get into Darklands for the first time or add a new kindred to your collection as they save you around 50% from the individual RRP of everything inside! The Byzantii, being the remnants of the Romans, have access to technology only the Atalantes could match. The incredibly powerful ballistae - built to destroy fortresses and monsters both - use a variety of different armaments from bolts to lead shot to rocks, but they all come really keen if you get in the way. Sculpted by Bob Płociennik from the artwork by Roberto Cirillo, you get the ballista itself, four crew including a magister and a variety of accessories and armaments for every circumstance. We like beastmen, here at Mierce Towers, so we tasked Kurt Jakobi (a new artist we're using) and Bob Płociennik to get their collective heads together and make a new one. Rob decided to make him a host champion, a Gore-Horn, so watch out for a new Darklands profile for him soon! There's three flavours of this guy, Shieldwall Goraakk, Great Cleaver Goraakk and Two Axe Goraakk, because there's nothing like flexibility! Back in the days of yore we decided to get Aanchuth his very own Darkstone. 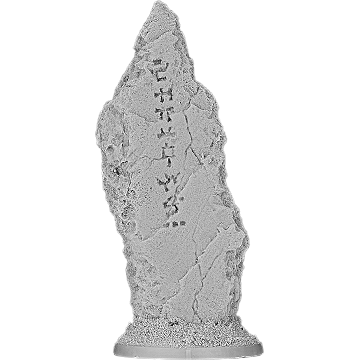 The Cursed Rock - sculpted by Peter Wilkes from his own design - is the result. It's perfect for keeping your unruly Gabrax in line on the Darklands battlefield! 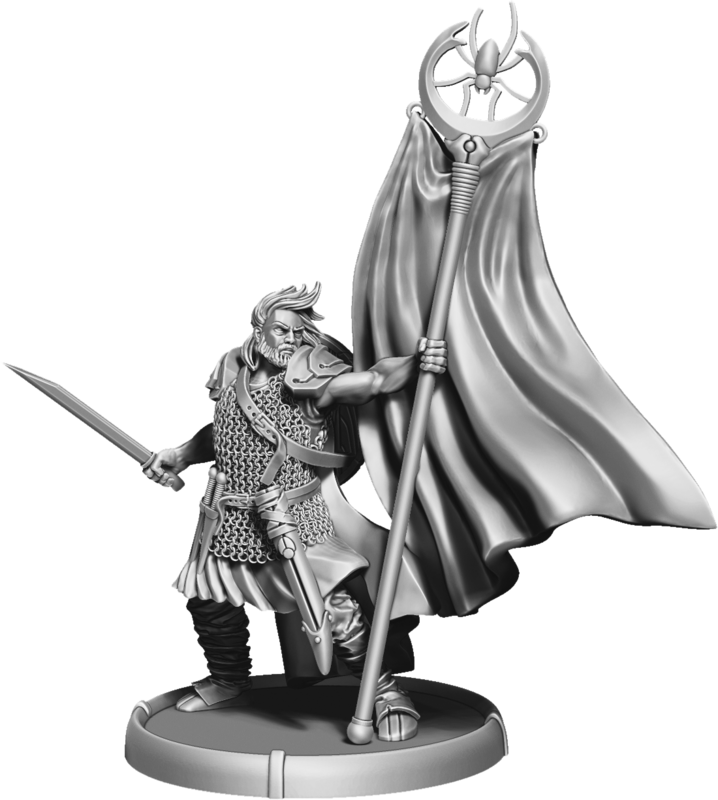 Hot on the heels of Cynuise is Garric, his living equivalent - for he, too, is a host banner bearer (which basically means he waves a flag around for his general). 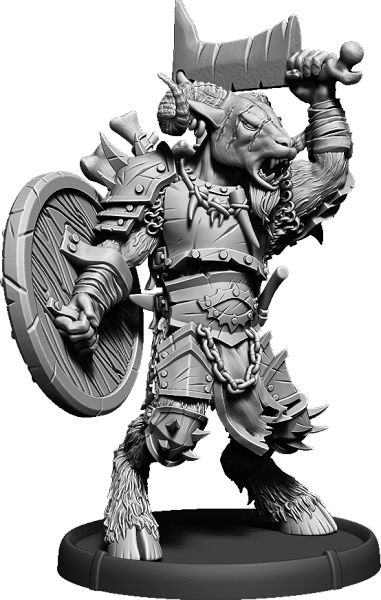 Sculpted by Bob Płociennik from the artworks by Danny Cruz, Garric is a fantastic new warchief for the Jutes and he comes in a few flavours too, four in fact. 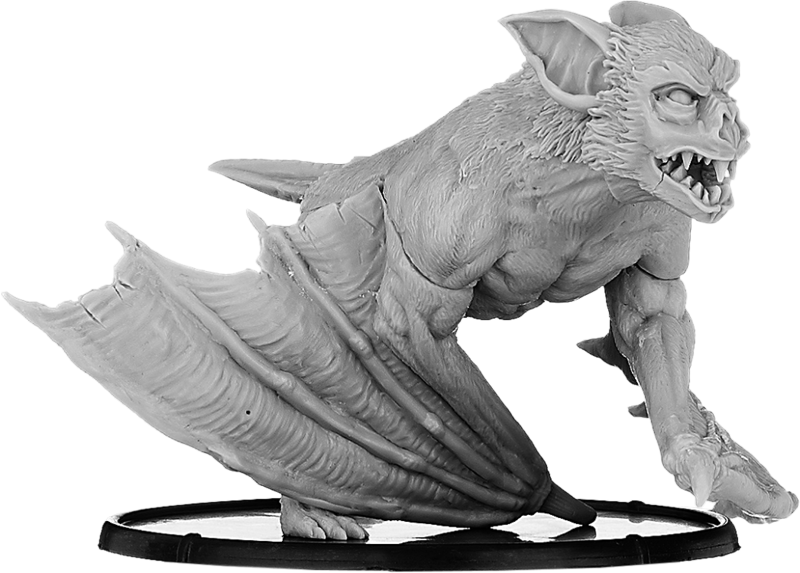 Thrada was the result of a crazy experiment - what if we put wings and a bat's head on Creoda's body? A massive great Cavern Nihtbat, that's what! Mad Scientists include Allan Carrasco, Andrew May and Tim Prow (the converters) and Stefan Kopinski and Dan Warren (the artists). 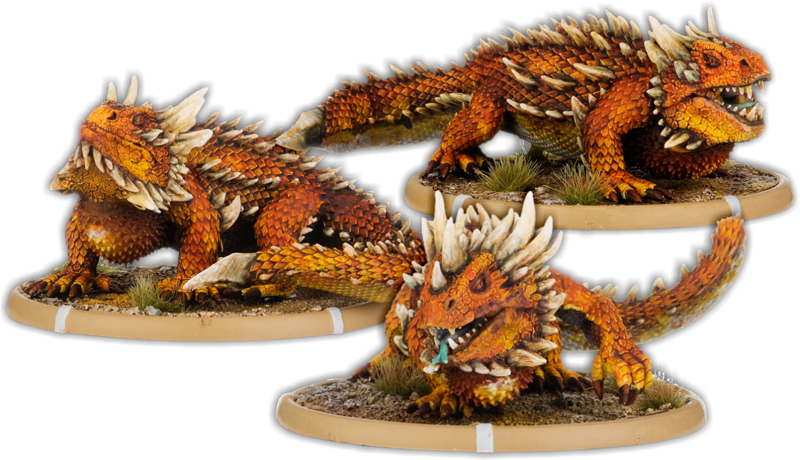 Sculpted by Bob Płociennik from the artwork by Stefan Kopinski and Dan Warren, the Firekin are an excellent example of what big lizards ought to look like in a miniatures wargame. Lizardy, scaly, spiny and with a great big neck full of fire-making material! There's three in the unit - Ignilak, Sikkak and Kkigni.